Are you ready to learn the electrochemical honing? So, stay tuned because in this article, we will discuss all about it. First of all, we will take a brief glance at the term, “electrochemical honing”. Basically, it is a material removal process in which electrical energy, chemical energy and honing are used. 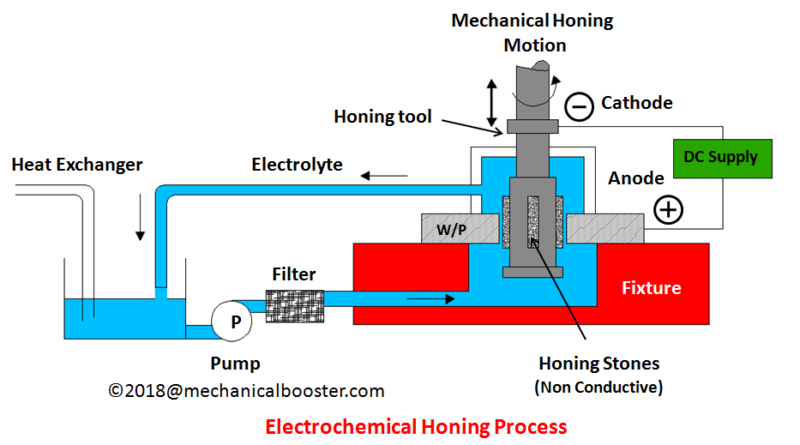 Most of the times electrochemical honing is often termed as the ECH. 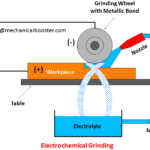 This process is quite familiar to the electrochemical grinding in which we us the hone tool instead of the grinding wheel. Do you know the process of honing? Honing is a machining process in which a hone tool is used. A hone tool is a tool that simultaneously rotates as well as translates. In honing, a clear metal surface is formed by rubbing the abrasive stone against the workpiece. A hone tool consists of abrasive stones that are used for the rubbing the metal surface. 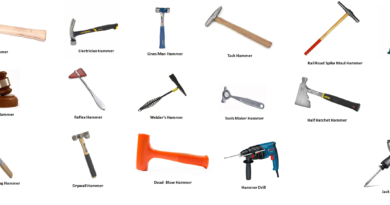 There are several types of the honing tools which are available in the market but each honing tool has those abrasive stones. A hone tool is an important part of the electrochemical machining process. As previously stated, it consists of different abrasive stones. These abrasive stones don’t have any fixed shape they are irregular in shape. But they have a fixed size. Most of the abrasive stones which are used in this process have a diameter ranging from 10 to 50 micrometres. These stones are often called as the grains. Smaller the size of the abrasive stones the better the surface they will produce. These abrasive stones are made from a number of materials like silicon carbide, diamond, corundum, cubic boron nitride, diamond, etc. All these are the hard materials. The lifespan of the abrasive stones is limited. The lifespan of the stones can be enhanced by using the wax or sulphur. But most of the times the wax is used for improving the lifetime of the abrasive stones. In the ECH, electrolytes like Sodium Chloride, Sodium Nitrates are used. Here, the above shown abrasive tool is inserted into the workpiece. 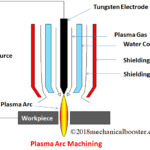 The workpiece acts as an anode while the abrasive tool acts as the cathode. 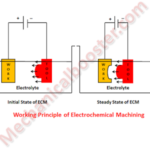 When the tool is inserted into the cylindrical workpiece electrolyte is passes on the tool. As the metal part of the tool apart from the stones is conductive, it reacts with the electrolyte. Due to this the inside part the cylindrical workpiece is get finished. The abrasive stones gives the final and neat finishing. Here, a electrolyte is used and the temperature of this electrolyte is kept between 38-40 degree Celsius. The pressure during this entire process is approximately equal to the 1000 kPa. Do you know which current is used for the entire process? DC or AC? Well, during this metal removing technique a constant DC current is supplied. Talking about the current density then it is equal to the 465 Amperes per square meters. The tolerance of around 0.003 mm is obtained. Generally, a voltage difference of 6 to 30 volts is kept during this process. This voltage difference may change according to different situation. 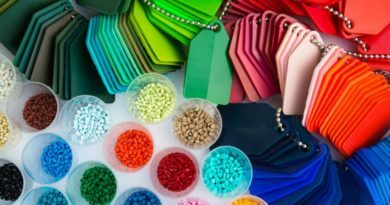 The most important advantage of this process is that we get both the surface finishing and shaping as a result of this process. That means no need to spend your time on the surface finishing and shaping separately. 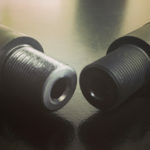 In case hard materials, the tradition machining techniques are not applicable. But this is the perfect process for the hard or tough materials. No heat is produced during this whole technique. It gives you one of the best surface finishing. This method gives you the desired low tolerance. Let’s take a brief glance at the material removal rate of this process. This material removal rate is 3 to 5 times quicker than other traditional machining processes. Comparing its metal removing rate to the cylindrical grinding then, it is 4 times than that of this cylindrical grinding. 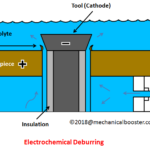 This electrochemical honing also results in the deburring. No stress is developed as a result of this process. Given below are some disadvantages of this process. More number of equipment are required during this process. The cost of machines is too much high to carry out this process. Skilled labor is needed to implement this metal removing process. It is only applicable to the hard materials mostly. ECH is widely used in the petrochemical and power generation industries. It is also used in correcting the gear teeth errors. The ECH is used for processing different materials like carbide, titanium alloys, Inconel, Incoloy, Titanium alloys, etc. 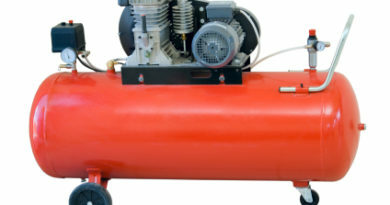 It is also used in increasing the lifespan of the roller, sleeves, dies, gears, internal cylinders, etc. 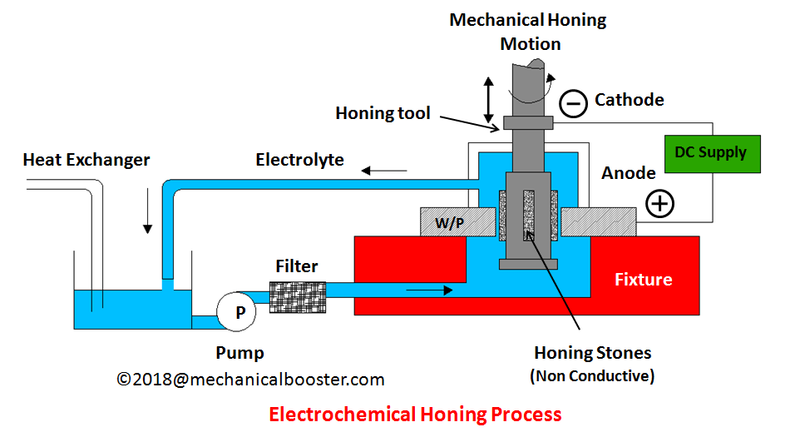 In this article, we have gained complete knowledge about the Electrochemical Honing. If you like this information then, don’t hesitate to share it maximum. 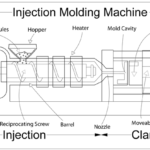 ← What is Plastic Injection Moulding and How it Works?